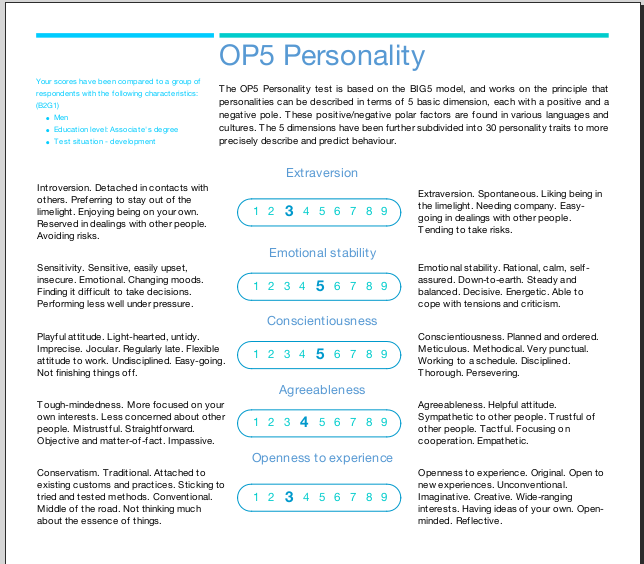 The OP5 is a personality test. This test measures the candidate’s affinity with each of the 5 dimensions of the Big 5 personality model and 30 subscales that look at a wide variety of personality factors. When would you use this test? Next to the Octogram, the OP5 is one of the basic two tests used by psychologists. The personality test measures deeper characteristics “under the water line” than what can be seen by the Octogram test by itself. 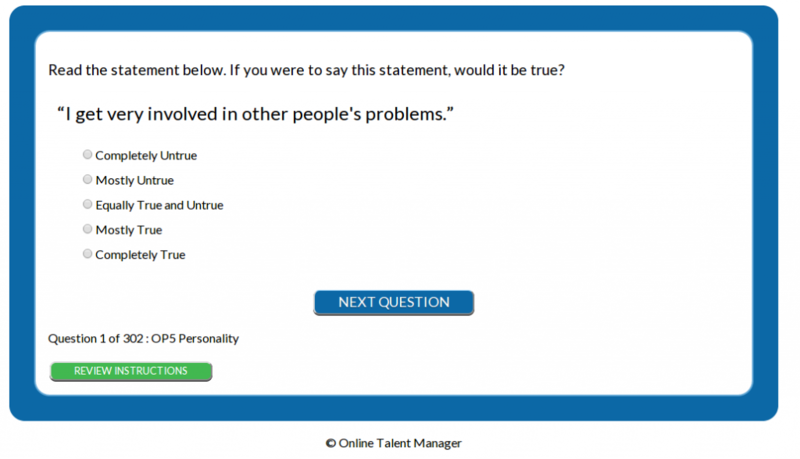 The results are very detailed and deep and can launch a much deeper conversation with the candidate. Can be used in both selection and development situations. Click here to download an example report.